LAS VEGAS. 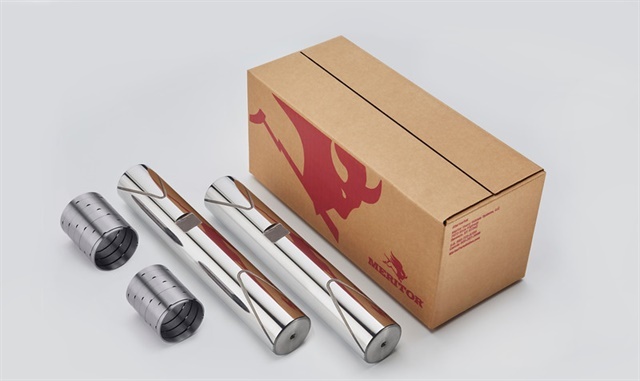 Meritor has expanded the FastSet king pin kit product line to offer 45 no-ream kits for aftermarket king pin replacement, the company announced here at Heavy Duty Aftermarket Week. With the kit, king pin bushings do not need to be reamed after they are installed into the steering knuckle, which can save labor, time and equipment costs. Instead of pressing in the bushings during installation, customers can use the kit to install spiral bushings by hand. Additionally, the king pin's special groove pattern design allows grease to permeate high-wear areas. FastSet uses only Meritor-approved components and can significantly reduce repair time as well as maintenance costs. The Meritor FastSet King Pin Kit is covered by Meritor's standard aftermarket warranty. Related: Economic Outlook for 2017: More of the Same?